So, just two weeks on from the good time playing with the big boys at the BHR Lydden, a go at Darley Moor with the CRMC. Only 25 minutes from home, so easy to get to nice and early to set up on Friday, and no need for an excessively early emergence from a comfy bed on Saturday. I know Darley quite well, I have had some decent results there, all very hopeful. Clearly the Cub and rider are not going as well as they should, though both felt all right; previous lap times have been 1:20something, this time they were over 1:30 To make matters worse, there are no slow bikes or riders in the CRMC these days, so I was staring last place in the face anyway. But the situation was no better on the Morini – only fractionally slower than I had previously been on the 500 Triumph, but the Morini is meant to be faster, and needed to be to keep up. And then it went bang, again. 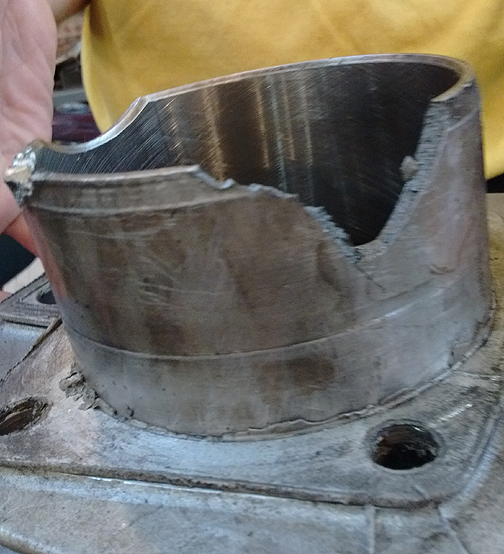 Apparently re-using conrod bolts in a race engine is thought to be acceptable in Morini circles, the professionally rebuilt engine is a write-off. We loaded the wreckage in the van and went home. The full horror revealed. 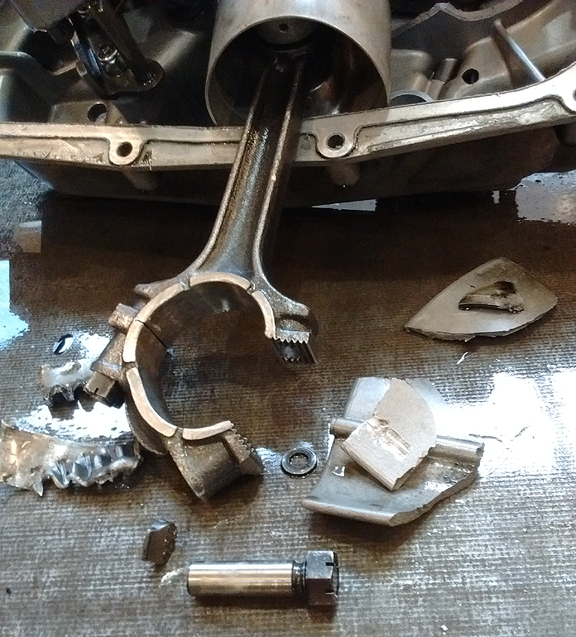 Note the crinkle cut big end shells having been through the gearbox. The barrels didn't fare too well either.